IN A LOT of ways, designing in virtual reality is just like designing in real life. Certain rules must be followed to ensure that people have an enjoyable experience. In the physical world, this might mean you can navigate a building without getting frustrated; in the virtual one, it means you won’t puke on your shoes. We’ve had centuries to hone the art of what we might consider modern IRL design. By contrast, we’ve had mere decades—if that—to do the same for virtual reality. We’re undoubtedly in the nascent days of VR design, but a community of designers are slowly building a set of guidelines that they hope will drive the medium forward. 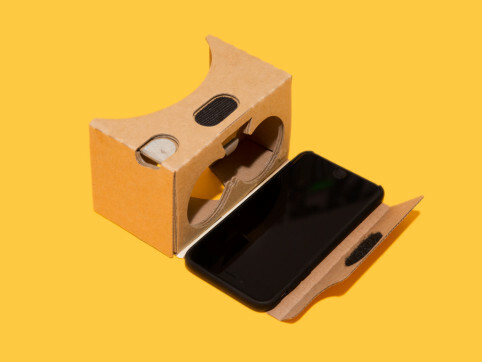 Today, Google in partnership with New York-based design studio Ustwo, is making the process of learning basic VR design principles more accessible through its new Cardboard Design Lab app. The app runs on Google Cardboard, the company’s simple, low-cost platform that allows you to slip Android (and now Apple) phones up to six inches into a fold-up cardboard handset, and its purpose is to better explain VR’s most important design principles by illustrating them in a gorgeous VR world. Posting design guidelines isn’t a new idea. In fact, Google has its own suggestions right here on its Material Design site. Many of the big players in the space—namely, Oculus and Samsung—have already laid down basic best practices for VR design, driven largely on research that’s come out of universities for the past two decades. Not surprisingly, there’s a lot of overlap between what works on different platforms. Most of the guidelines are detailed under headers like “Degree of Stereoscopic Depth” and “Minimizing Latency.” Not exactly easy-breezy rules to follow. Google’s app is different if only because of its show-not-tell execution. The lesson: VR is your playground! Make trees extra big, make mushrooms extra small for an Alice in Wonderland effect. This is where you can have a lot of fun. Virtual momentum is tough on us. When we speed up and slow down quickly in VR, our bodies get confused because we’re not actually moving. To minimize this dissonance between the visual and physical effects, Google and Ustwo suggest getting to constant velocity as quickly as possible without resorting to jerkiness. The user interface is always important, but even more so when people are expected to navigate an unfamiliar world. To make menus and cards legible, they should be positioned about three meters deep into the world. There are no 2-D overlays allowed—your interface has to be just as three-dimensional as the rest of your world. And while you’re at it, use a reticle to help players focus on where they’re clicking. People will love it. Even sound needs a specific location in a VR world. What you hear should mimic what you see. So if you turn your head and see a crackling fire to the right and a whistling bird to your left, you should probably be hearing those respective sounds in your respective ears. Each rule is explained by walking the user through intricately designed scenes that show exactly how that principle works. For example, you can walk through a Redwood forest that will teach you how to approach gaze interactions, audio usage and motion. With each click, the app navigates you through a new principle and scene. 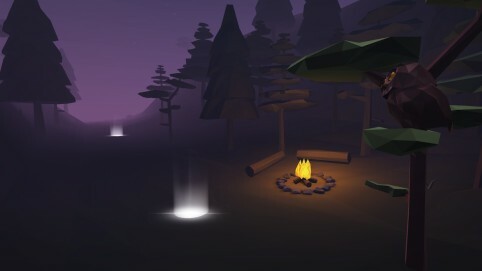 Cardboard Design Lab is clearly meant for developers and professional designers, but I’d argue that using the app isn’t just for making, it’s also a useful tool for learning how to consume virtual reality. To truly democratize VR, it’s going to take more than just well-designed apps—it’s going to take a mass of users who feel comfortable using those apps. Plus, with Google’s introduction of Jump, a platform that allows people to stitch together 360-degree video for viewing in the Cardboard handset, it’s fair to assume the company believes that eventually everyone will be able to make VR content. To do that, they’re going to need to at least understand the basics. Google’s suggestions might seem basic, but there’s a reason for that. Mark Bolas, a professor at the University of Southern California and a pioneer in VR, has a helpful visual for explaining where we are in the volution of virtual reality design: a triangle with three distinct markers—here, there, and elsewhere. Today, he explains, we’re working on getting from here to there. The here in the equation refers to the normal, physical world where you’re reading this story. The there refers to a virtual approximation of that room or some other familiar virtual experience. 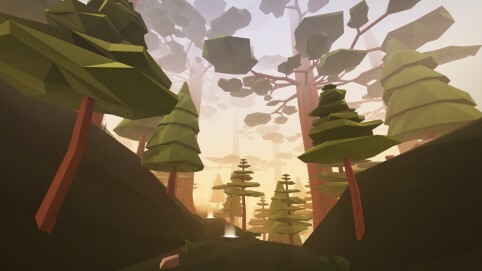 Bolas believes apps like Cardboard Design Lab are part of the process of establishing the path from here to there, once headset makers figure out a basic VR experience that doesn’t make people sick after prolonged play. The current VR challenge, he says, is figuring out exactly how much we can mess with our understanding of reality without making the experience feel too weird. “Breaking the rules of physics is one of my favorite parts of VR,” Bolas says. If we’re just going to sit around in our virtual office chair and pick our virtual noses, then what’s the point of strapping on a headset to begin with? Operating in a virtual world allows us to do things we wouldn’t otherwise be able to do. We should be able to do wild things like pick up a monster truck with one hand or walk on puffy cumulonimbus clouds. The rules of a virtual world don’t necessarily have to follow those of the natural world, Bolas says, but they do need to have consistency if people are going to accept VR. That’s why in the beginning, abiding by basic ground rules—giving people a sense of stability, controlling their acceleration, keeping distinct points of reference in view—is so important. It’s not that developers aren’t able to build outrageous VR experiences (they are), it’s just that we, the players, aren’t able to handle them yet. Like all mediums, first you have to build tropes and standards before you can undermine them. It takes time to build those standards, and Bolas believes that’s what apps like Cardboard are in the process of doing. “First I get you used to lifting things with your virtual hand…then all of a sudden you’re lifting ten-ton automobile and cranes,” he says. “Then I can go one step further and make you feel like you are a crane. And there, I’ve got you totally into elsewhere land.” Google is trying to establish the canonical rules of VR design. It’s attempting to build a common language to be used among designers—and players—with the hope that VR will be accepted by culture at large. But that work will be done by the developers, designers, and players working in VR every day, rather than by professors like Bolas, who thinks that’s a good thing. The more people are toying around with VR and trying to make a business out of it, the faster there will be breakthroughs. Still, it’s going to take time. “We just don’t have enough units out there yet,” he says. Google’s trying to change that, of course, with its super-cheap headset. Now it’s embarking on the task of getting people to start experimenting themselves. “The content creation has just begun,” Bolas says.